1. Something with a story behind it.Photograph something that has a story behind it. And yes, you might have to actually write a little bit on this one. Good, sad, funny, made-up….does it really matter? It IS the internet. Be creative. 2. A Random and Odd photo.Pick anything. A picture you’ve taken, one that you’ve found on the net. Doesn’t matter. I’m making the rules, so don’t tell me what your usual blogger tells you to do! 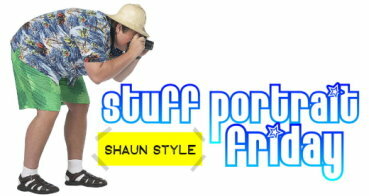 For this picture, the reader on your blog needs to write a story or caption for your picture, so get something unique. OK, you heard the man…tell me about this picture! 3. In keeping with the recurring wedding theme, a photo of something borrowed. That was a great story but the wall of gum is so icky. Great shots. 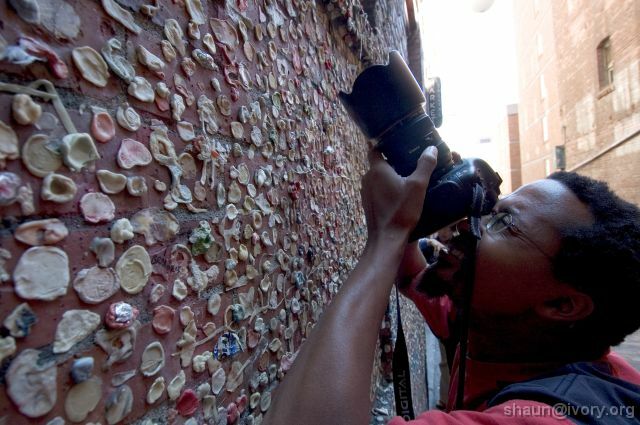 Love the gum story, although the wall is kinda gross. Ethel was beginning to regret not bringing her teeth. happy SPF and i played, too. 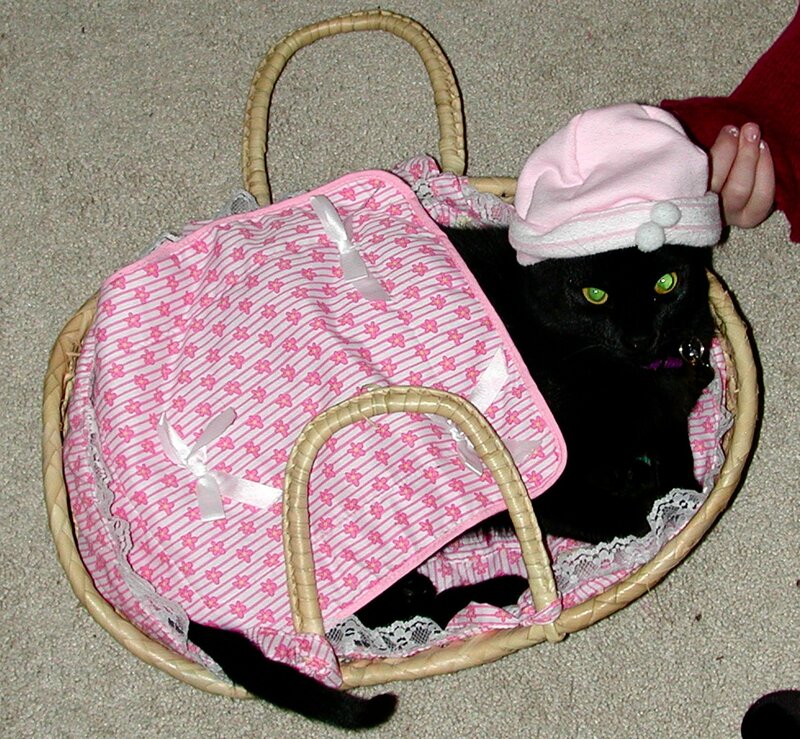 Caption : Do you think the rose on my hat clashes with my outfit?? Happy SPF, I played to. What a cute kitty!! Sorry that he ran away. Cool picks! The bubble gum wall is freaky! My caption: Iced coffee really hits the spot when you’re on safari. caption: Hat day at Starbucks. 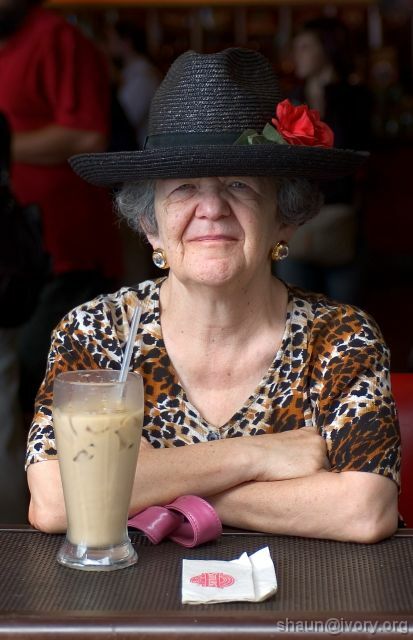 After the last Match.com fiasco Ethel was always going to look her best. Love the pic of the gum wall. As for the caption of the second pic-ooo, that’s a hard one. She looks quite happy, content and hmmm, confident! Like she really doesn’t care what anyone thinks! Okay, I’m horrible with these captions – though that is a great photo. I love the story of poor gummy. I don’t think I would get that close to that wall. Germs – yuck. Great photos. Gum wall? A novelty I could live without! LOL! Caption: At my age, who cares about the cholestrol: go for it! You have no idea how many times a day I do the same thing as in picture 1…I am ALWAYS looking for a different view of something! Great shot! Love the gum wall story! Happy SPF and thanks for stopping by mine earlier. Awesome pics! I’ve never done SPF. Is it open to anybody? You mentioned on my blog the other day that you’re only 40 mins from Tukwila. We’re in Vancouver BC. Are you north, south, east or west of Tukwila? Caption: Red hat, red rose, whatever! I make this thing look good! There’s a gum alley like that in San Luis Obispo, CA.